Berries! They are amazing, aren’t they? You will appreciate them twice as much if you are interested in gardening and love growing your own flowers, fruits, and vegetables. That said, we all know that growing plants need a lot of care and attention. We simply cannot expect them to bear fruits on their own for us. A little love, a little extra care, and ensuring that they get the right nutrients will help you grow your own bright and juicy berries. The acid mix needs to be used during spring because it facilitates vegetative growth. You must use it again when you see the blooms. It consists of a good mix of ingredients, which makes it one of the most popular options out there. The acid mix is derived from fish bone meal, cottonseed meal, rock phosphate, Kelp meal, and langbeinite. It also has 2.5% humic acids. It should be used by mixing it in the soil before planting. If the plant is already mature, you may want to add it to the surrounding soil area and then pour water around it. It is safe to use with other fertilizers if you need to but remember to read the instructions given to be on the safe side. The mix works excellently for blueberries, strawberries, and raspberries alike. EcoScraps is among the best organic fertilizers for strawberries, blueberries, raspberries, etc. because it is easy to use and has consistently shown results. As the name suggests, the plant food is made from leftovers from the food life cycle among other things. It contains no added poop. It is mainly for organic gardening. You must use it throughout the month as your plants grow. It is also safe to use it with young bushes of berries. While users claim that it works well with raspberries, blackberries, blueberries, and strawberries, a few have said that it didn’t really do the trick for strawberries and raspberries. We can probably avoid such disappointment by reading the usage instructions carefully. 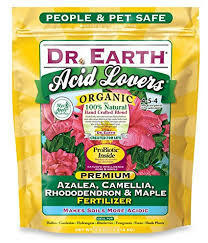 Made with fish bone meal, cottonseed meal, alfalfa meal, mined potassium sulfate, seaweed extract, mined potassium sulfate, feather meal, and pro-biotics, Dr. Earth 703P is an excellent choice for all acid-loving plants such as blueberries, strawberries, evergreens, hydrangeas, etc. It contains seven strains of ecto and endo mycorrhizae, making it a very powerful organic fertilizer. These strains help with plant performance, nutrient availability, and drought tolerance. It is 100% organic, and many users have reported significant improvement in blooms and yield. You can apply the fertilizer in many different ways as shown on the label. Whatever suits you the best, you may go ahead with it. The best part is that it also gives you use instructions in detail for each method. The price tag may not really be ideal, but it is a great product and worth the extra bucks. The manufacturers say that it is safe to use with any soil. 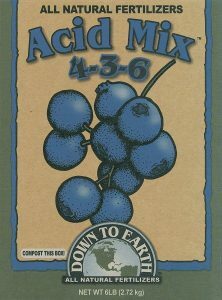 It works to acidify the soil. So if the pH is higher, it will bring it down, making the soil ready for berries and flowers. If you want to grow any plants that love acidic soil, this is among the best choices for you. From Azaleas to strawberries to evergreens, the Espoma fertilizer works like a charm. It consists of bio-tone beneficial microbes. This is the brand’s proprietary. Professionals approve of this fertilizer. Users report that the fertilizer acts fast and gives great results. Remember, it is a strong fertilizer. The product comes with clear instructions, which we recommend that you follow religiously. It is all-natural and everlasting. 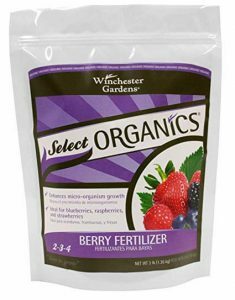 The berry fertilizer from Winchester Gardens is formulated for indoor and outdoor gardening. It encourages all-round growth, and the bloom is simply spectacular. The main ingredients are potassium chloride, bone meal, feather meal, and sulfate of potash magnesia. You need to sprinkle the fertilizer around the base of your plants and mix it with the soil. Once you do so, simply water the plant. You can use the fertilizer on its own without having to buy anything additional. 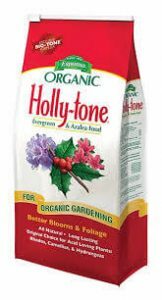 The texture of this organic fertilizer is more like sand and not really coarse. This makes it very easy to use and apply. Using it during the spring and again during the growth season yields the best results. There you go! 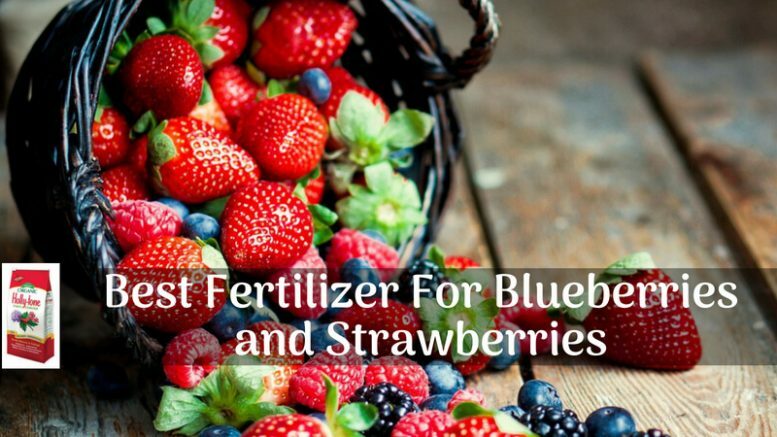 This comprehensive list of the best fertilizers for strawberries, blueberries, and other flowers and fruits will help you decide during your next gardening shopping spree. Take factors such as price and benefits into consideration before making the final purchase. If you are using any product that you think should make it to the list, please let us know! Be the first to comment on "Best Fertilizer for Blueberries and Strawberries | Feed Your Plants"